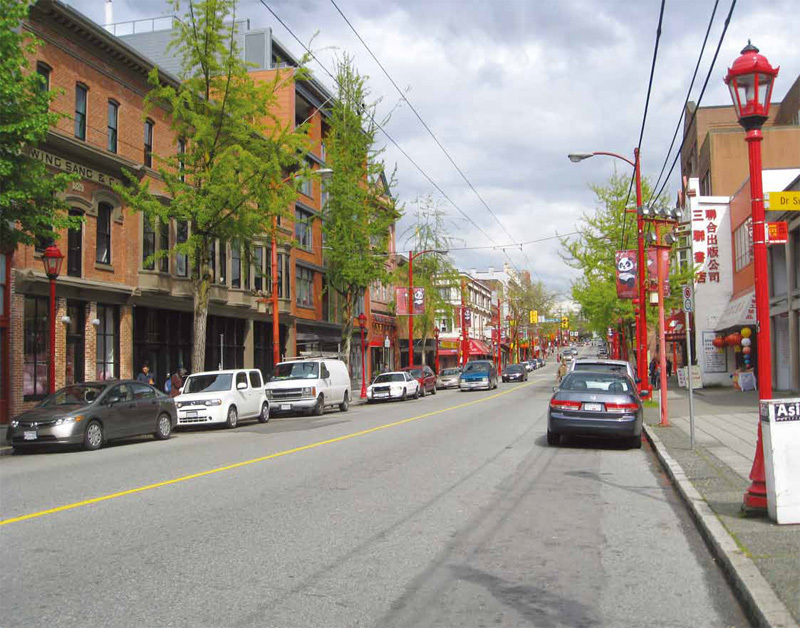 In 1886, a budding Chinatown, with about ninety Chinese residents, emerged on Carrall Street and Dupont Street (named East Pender Street after 1904). By the 1890s, Vancouver’s Chinatown had more than one thousand Chinese residents, clustered on Dupont Street between Carrall and Columbia streets. 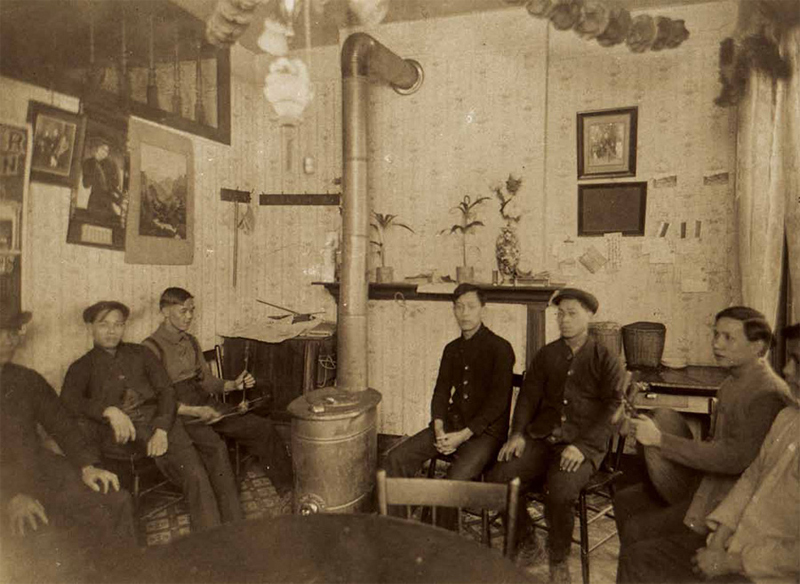 Due to crowding in Chinatown it was common for many workers to sleep together in a single room. There were also many social problems such as prostitution, opium-smoking and gambling. The residents of Chinatown were provided access to Christianity when the Chinese Methodist Church was established on Dupont Street in 1889. 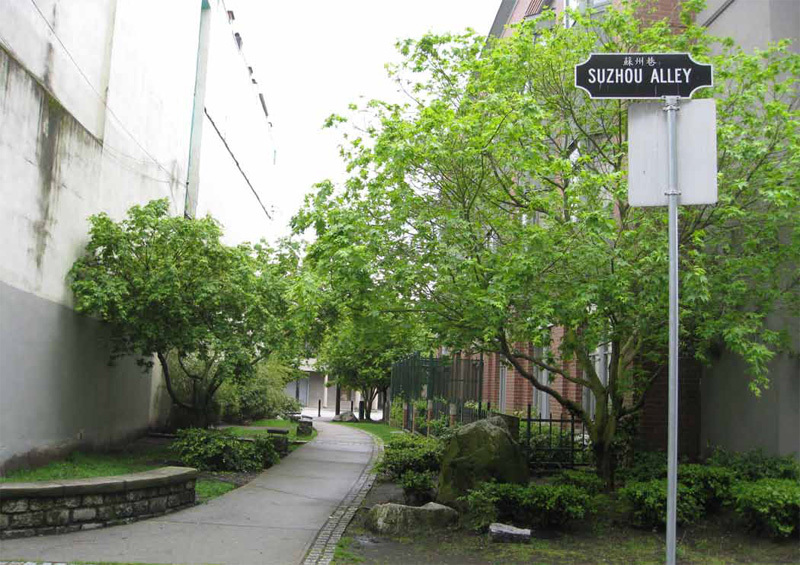 In 1904 and 1905, Canton and Shanghai alleys were created on the west side of Carrall Street with the construction of new tenement buildings, many grocery shops, tailors, restaurants, and other businesses. 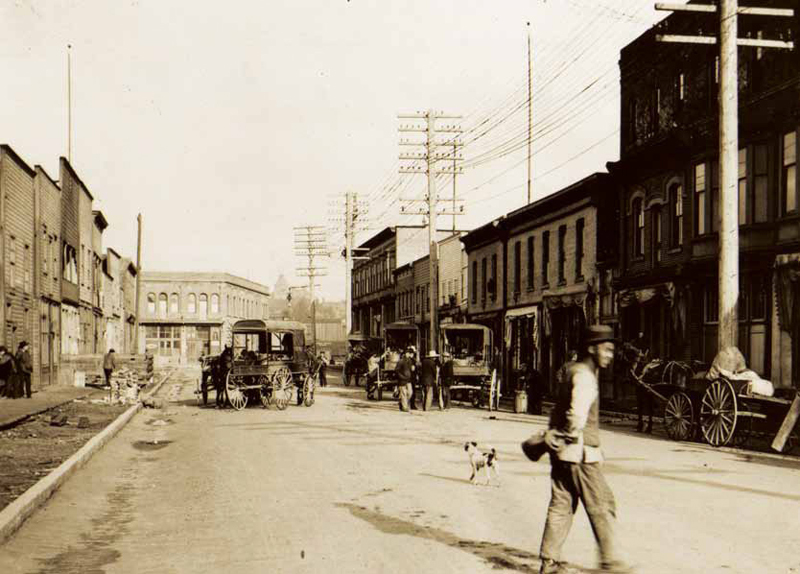 Meanwhile, Chinese businesses had also moved eastward on Dupont Street from Carrall Street to Westminster Avenue (named Main Street after 1910). On 7 September 1907, members of the Asiatic Exclusion League marched to Chinatown where they beat up dozens of Chinese, wrecked stores and smashed windows. Order was not restored for several days. Despite these attacks, Chinatown continued to grow. 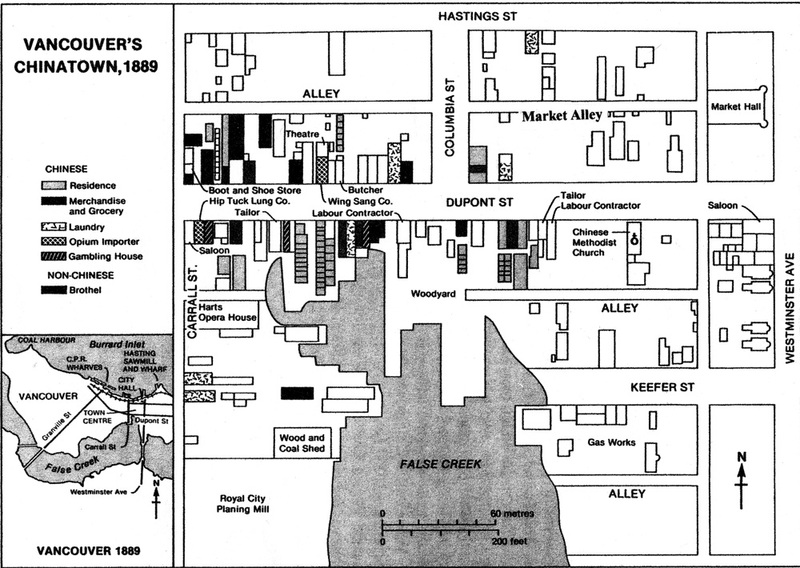 By the end of the first decade of the 1900s, Chinatown covered about four city blocks bounded by Canton Alley to the west, Hastings Street to the north, Keefer Street to the south, and Westminster Avenue to the east. After the turn of the twentieth century, Vancouver’s Chinatown outstripped Victoria’s in both population and importance. Having a deeper harbour and being the western terminus of the Canadian Pacific Railway, Vancouver took over trade that had formerly passed through Victoria, gradually replacing Victoria as the premier port on Canada’s Pacific coast. The 1911 national census listed 3,559 Chinese in Vancouver and 3,458 in Victoria; this made Vancouver home to the largest Chinese settlement in Canada. Vancouver’s Chinatown became the largest Chinatown in Canada, followed by Victoria’s. In 1896, six prominent merchants, namely Yip Sang, Shum Moon, Wong Soon King, Lee Kee, Chow Tong and Leong Suey, founded the Chinese Benevolent Association, and erected a building in 1910 to serve as its office as well as a Chinese Hospital. 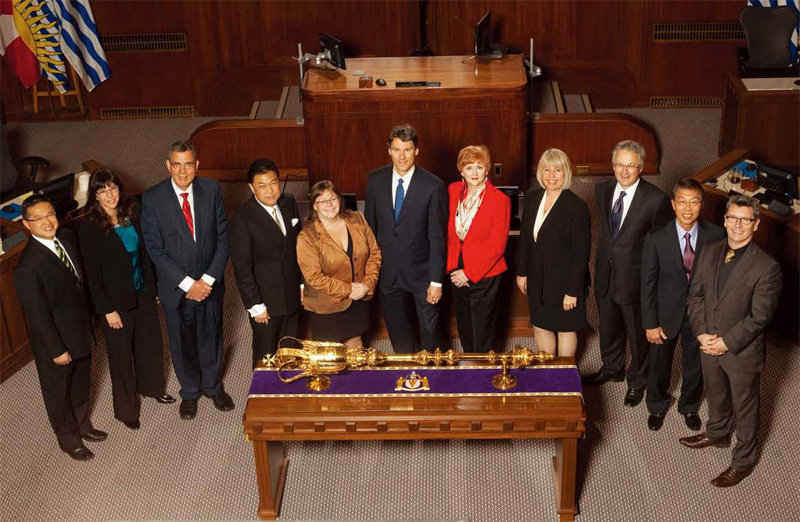 The association functioned as spokesman for the Chinese community in Vancouver. 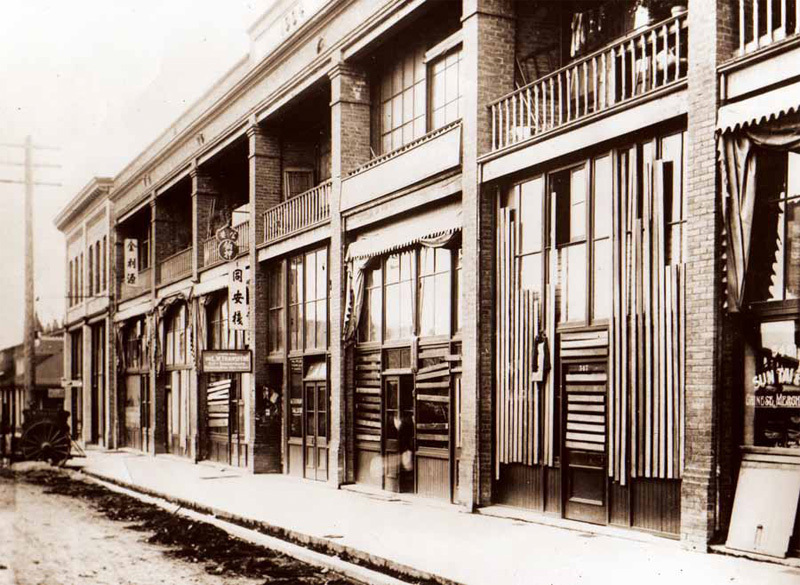 During the 1910s and 1920s, many Chinese association buildings were built according to western architectural conventions but they did include some unique Chinatown features such as the “cheater floor,” recessed balcony, and long steep staircases to upper floors. There were also narrow alleyways running from Dupont Street to the back alley at the rear of the buildings. In its prime, during the early 1920s, Chinatown was virtually self-contained, with two Chinese theatres, six schools, a hospital, a library and a large number of clan, county, and other association buildings. 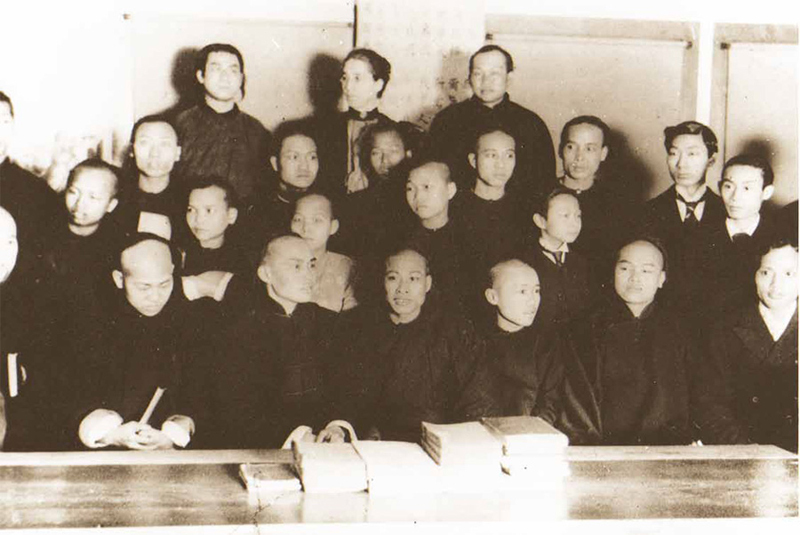 The headquarters of some associations such as Lung Kong Kung Shaw, Shon Yee Association and Yue Shan Kung Shaw, were moved from Victoria to Vancouver where there were more members. The townscape of Vancouver’s Chinatown was dominated by both Chinese and non-Chinese institutional buildings such as City Hall, Vancouver Public Library, bank buildings and whiteoperated hotels. 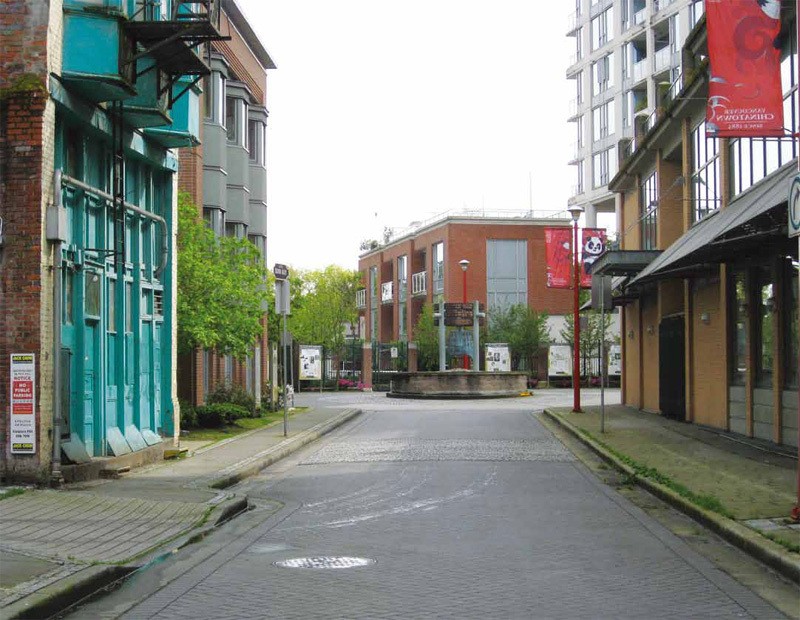 Vancouver’s Chinatown entered the withering stage after the 1923 Exclusion Act. Its Chinese population began to decline steadily from 13,011 in 1931 until it reached 7,174 in 1941, only 55 percent of the level ten years earlier. With a declining population and a lack of new immigration Chinatown entered a period of stagnation. The Depression of the 1930s only added to the rapid decline of Chinatown. During those years, Chinatown lost about 6,000 Chinese residents due to emigration, hunger, and even death due to malnutrition. Local-born boys and girls grew up and contributed to a slight increase in the Chinatown population. The city government had always criticized Chinatown as a filthy, overcrowded slum but made no effort to improve the area. Instead, it merely condemned buildings and evicted tenants. For example, in August 1944, 300 Chinese tenants were removed from several tenement buildings on Shanghai Alley after the structures were declared unsanitary. After 1945, some Chinese began to move into the former Japan Town on Powell Street, but most still preferred staying in their crowded Chinatown. In 1949, the tenement buildings on both sides of Canton Alley were demolished. 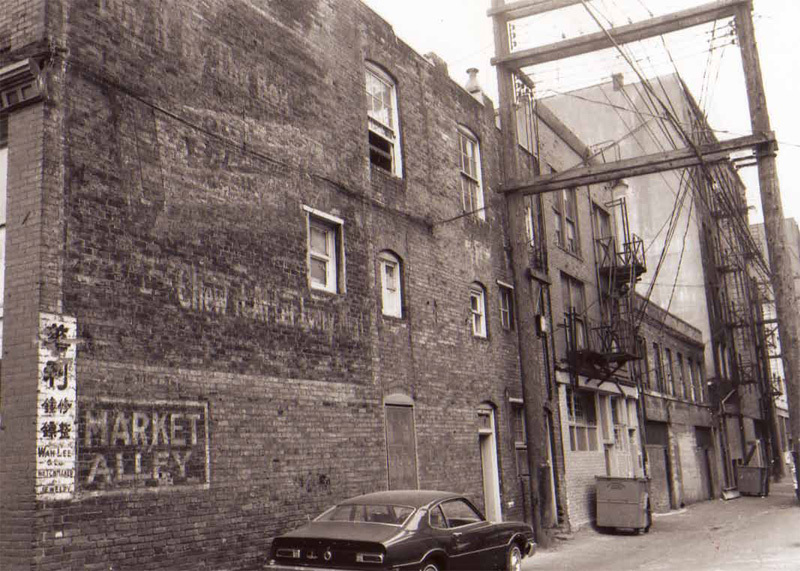 Hence, Canton Alley, one of the oldest streets in Chinatown, was destroyed. 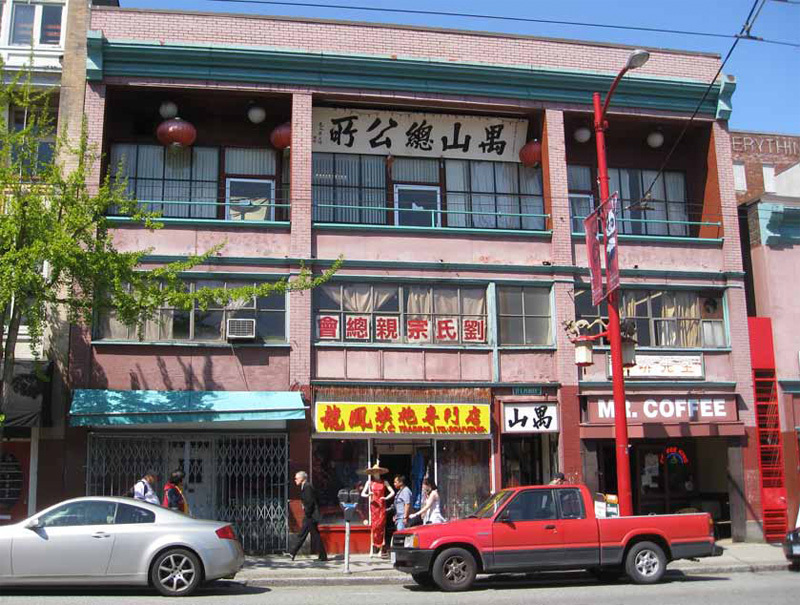 Most of the Chinese association buildings in Vancouver Chinatown are concentrated in the two city blocks of East Pender Street between Carrall and Main streets, and the ground floors are leased to restaurants and stores selling tourist oriented items, dry goods and clothing. Merchants in the city block between Main and Gore streets are chiefly Chinese grocers, butchers and restaurateurs. 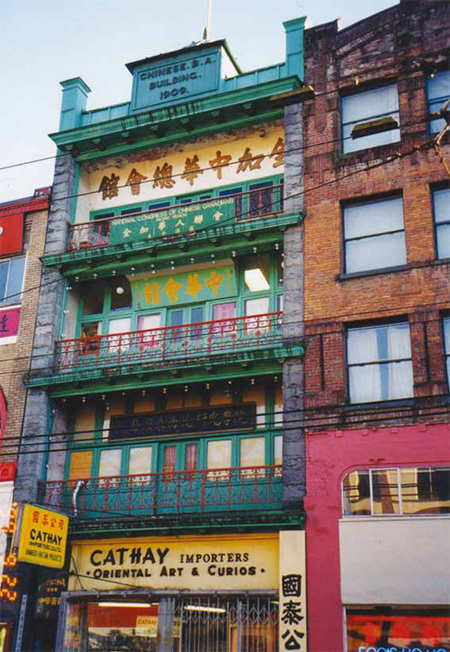 New stores such as jewelry stores, stereo and camera shops and other retail outlets previously unknown in Chinatown, were established on Main and Hastings streets. 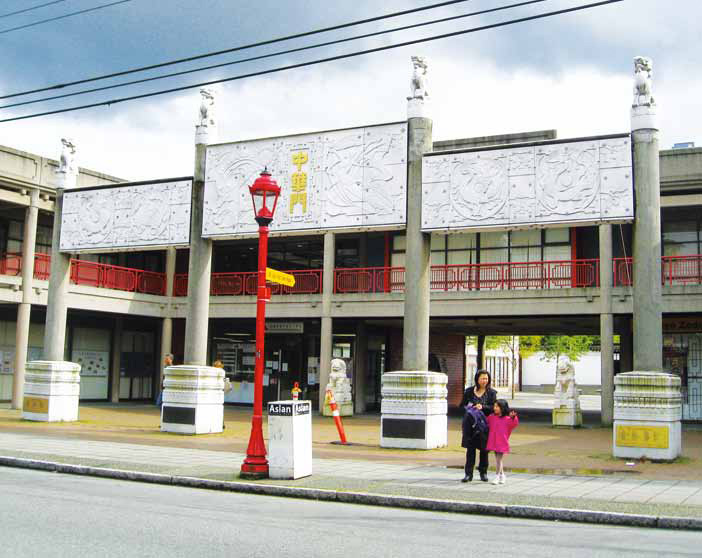 Adjacent to the eastern edge of Vancouver’s Chinatown is the Strathcona District. In 1949, it contained about 7,500 people: 44% Europeans, 33% English Canadians, 11% Chinese, and 12% other national groups. Throughout the 1950s, an increasing number of Chinese moved into the Strathcona District as the white residents began relocating to better residential districts. Strathcona was attractive to the new Chinese residents because housing was affordable and the area was adjacent to Chinatown. By 1957, nearly half the residents in Strathcona District were of Chinese origin making it a de facto residential extension of Chinatown. About sixty percent of the Strathcona District’s properties were structurally unsound or markedly dilapidated. 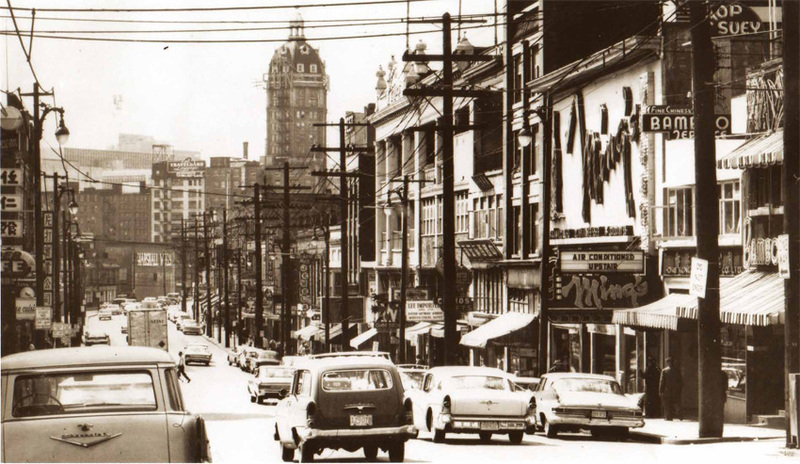 In January 1958, City Council declared Strathcona District a redevelopment area because 37% of its 274 structures suffered from inadequate original construction and nearly 24% had poor or very poor interior conditions. In 1961, Redevelopment Project No.1 was launched. 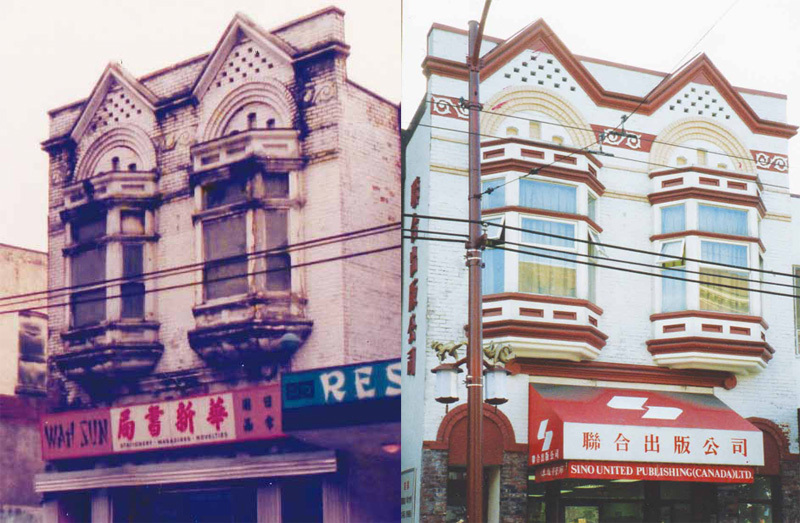 Within a year, over sixty city blocks in Strathcona had been appropriated and their structures, including some historic Chinese “tong houses” such as the Hing Mee Society house, were demolished to provide sites for new housing projects. About 300 Chinese residents were forced to move and some of them were very bitter about the relocation. For example, twelve elderly men who had been living together in the Hing Mee Society house for thirty-seven years were forced to separate. In March 1965, City Council carried out Redevelopment Project No. 2. Within a year and a half, twenty-four properties, including the comparatively well-maintained Christ Church of China, had been appropriated for demolition. Redevelopment Project Numbers 1 and 2 had displaced about 1,000 persons, of whom more than half were Chinese. In the summer of 1965, the City’s Planning Department started to work on the final Redevelopment Project No.3 to clear the remaining housing in Strathcona District and to relocate its 3,000 residents. 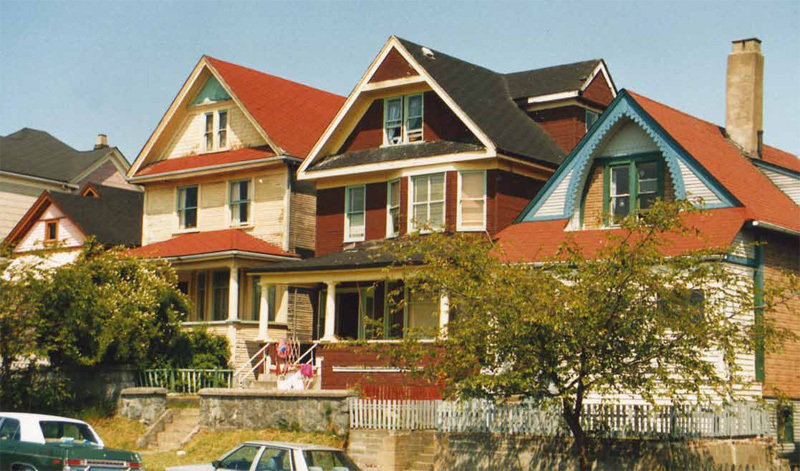 In December 1968, Strathcona residents formed the Strathcona Property Owners and Tenants Association (SPOTA). They sent briefs and petitions to City Council, requesting that Council should lend residents money to improve their homes instead of buying them and tearing them down. In October 1969, SPOTA was invited to join the three levels of government to form the Strathcona Working Committee. The Committee decided that there would be no large-scale acquisition and demolition of property and the general goal for Strathcona was rehabilitation: to retain, repair and improve individual properties, public works, and community services. In July 1971, the Strathcona Rehabilitation Program was launched and 229 properties in the District were rehabilitated. In addition, various neighbourhood improvement projects such as the development of Linar Park, Gore Avenue landscaping, and installation of bilingual English and Chinese street signs were carried out. 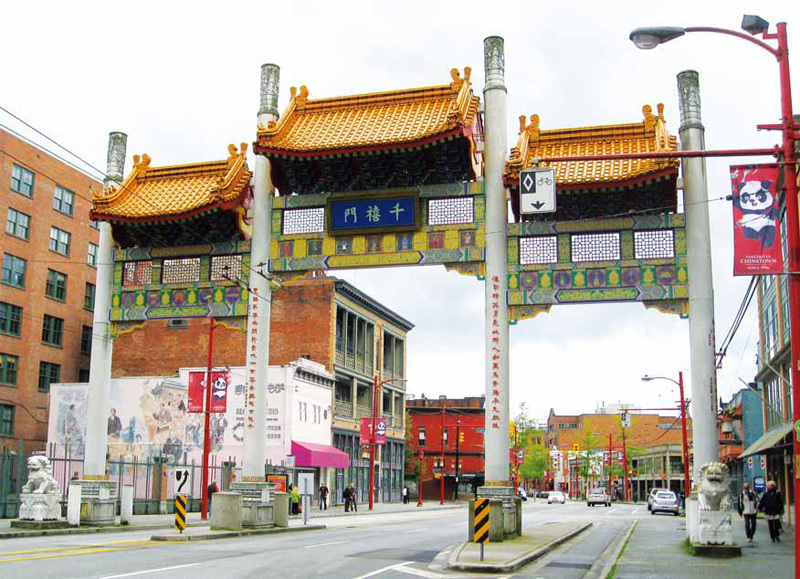 In the same year, the Province of British Columbia designated Vancouver’s Chinatown a historic district. 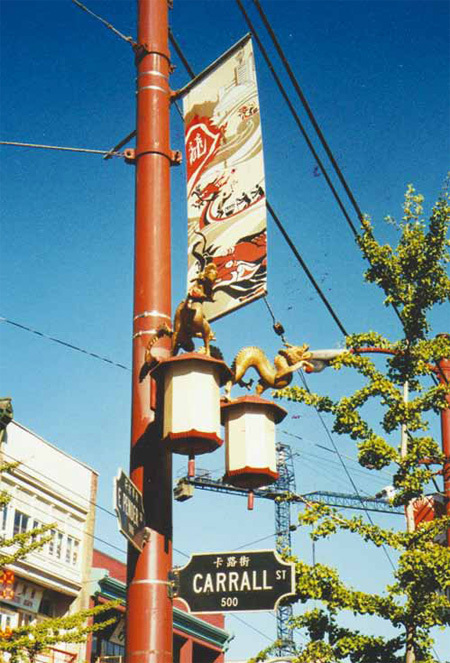 After the 1970s, Vancouver’s Chinatown was revitalized mainly because of new investments from Hong Kong entrepreneurs. As commercial spaces on East Pender and Keefer streets were not available, new immigrant investors began to set up businesses on Main, East Hastings and other streets near Chinatown. Throughout the 1980s, various beautification projects were mounted, such as the installation of red lampposts with golden dragons, the creation of bilingual street signs, scored concrete sidewalks and crosswalks, and planting gingko trees along the boulevard. Old buildings were re-painted and repaired. New construction projects were completed such as the Dr. Sun Yat-Sen Park and Classical Chinese Garden (1986). 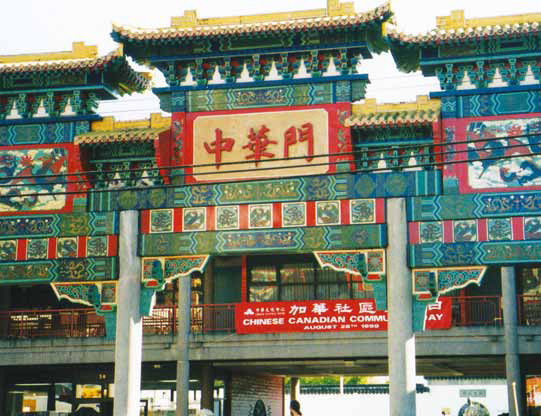 In 1987, the Chinese arch from Expo 86 was re-installed in front of the Chinese Cultural Centre. 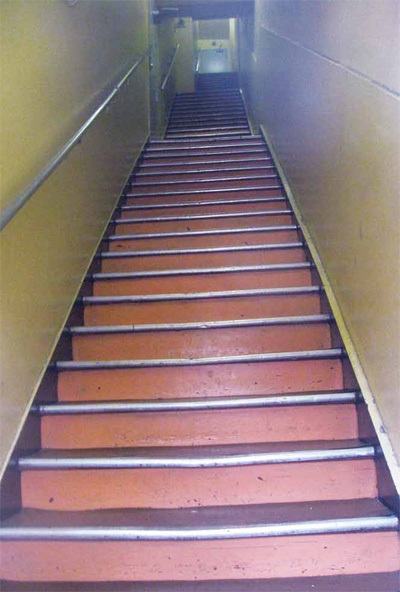 In 2008, Vancouver City Council approved a program of up to $100,000 to support preparation of comprehensive rehabilitation plans. In addition, the city started a partnership with the provincial government for the repair and maintenance of Chinatown’s storefront awnings, and carried out a Lighting Study to use lighting to enhance Chinatown’s night time ambience. Please move your mouse over the number/thumbnail to get details. Built to celebrate the millennium year of 2000, the gate incorporates Chinese and Western symbols representing the “Journey through Time” and the unity of both Chinese and non-Chinese people in building our beloved country. Opened 13 August 2010 to celebrate the 125th anniversary of Vancouver’s Chinatown this mural, painted by Arthur Zheng, depicts more than a century of Chinese struggle, settlement and integration commencing in 1885. Canton and Shanghai alleys were built in 1904-1905, and destroyed and abandoned in the 1940s. Both alleys have now been re-instituted. Suzhou Alley, a new alley, was built for pedestrians to walk from Shanghai Alley to Dr. Sun Yat-Sen Classical Chinese Garden and Park. The Circle was completed on 26 June 2001. A replica of the Han dynasty bell unearthed at Guangzhou in 1983, the Western Han Dynasty Bell was a gift to the City of Vancouver from the City of Guangzhou to commemorate the twinning of the two cities. Constructed in 1903 this building was the office and Patriotic School of the Chinese Empire Reform Association which declined in 1912. The building was then sold to the Lum Sai Hor Tong. The building was established in 1881 by Chang Toy, an importer and shipping merchant. In 1912, the City of Vancouver widened Pender Street, expropriating twentyfour feet from the front of the Sam Kee Building, leaving a site only five feet wide. The following year architects Brown and Gillam redesigned the building to maximize interior space on the narrow site making use of bay windows on the upper floor and public baths extending under the sidwalk. The Guinness Book of Records has recognized it as the world’s narrowest building. The Chee Kung Tong (Chinese Freemasons) in Vancouver, established on 9 September 1892, was a powerful secret society that supported Dr. Sun Yat-Sen’s revolution against China’s Manchu government. Purchased by the Freemasons in 1907 as their headquarters the building has two distinct façades: The façade facing West Pender Street includes recessed balconies, a characteristic feature of Chinatown buildings, while the façade facing Carrall Street is more typical of contemporary Western architecture. A group of association buildings with heritage value include a hybrid of Chinese and Western architectural features such as the Chinese Times Building (1902), Yue Shan Society Building (1920), and the Wing Sang Building (1889). 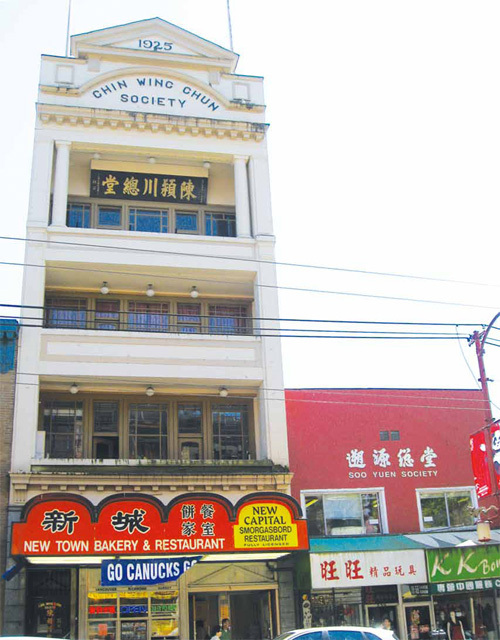 The Wing Sang Building, the oldest building in Chinatown, was owned by Yip Sang (Yip Chun Tin), a leading Chinese merchant in Vancouver. The original petite Victorian Italianate two-storey structure was expanded eastward in 1901 with a section having bay-windows on the second floor. A third floor was built on top of the small original building and the extended section. 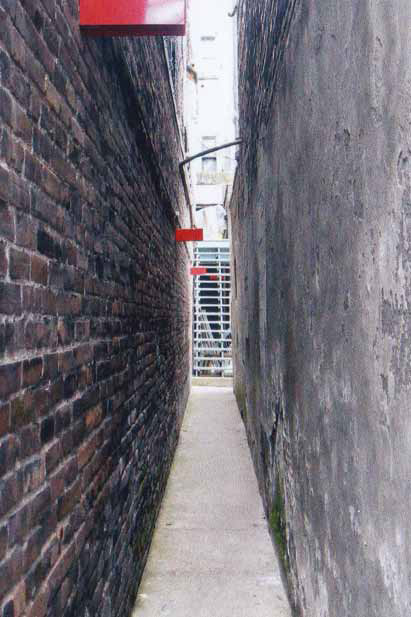 There are two narrow alleys leading from Pender Street to the alley at the back. The Chinese Cultural Centre was officially opened on 14 September 1980. The Expo 86 Chinese arch deteriorated and was demolished in the late 1990s. In 2000, it was replaced by a new gate with white carved marble. 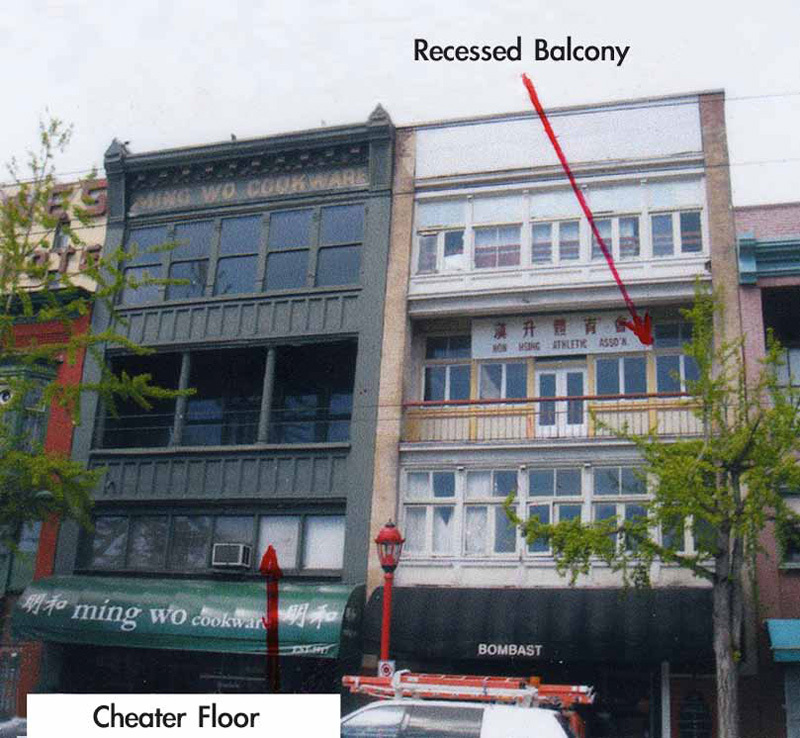 The Wong Benevolent Association Building, built in 1921, has recessed balconies, stained glass windows, and a cheater floor. An ornamented parapet with four projecting finials embellishes the building and intricate woodwork frames the window of the cheater floor. The second floor was used as the Mon Keang School, sponsored by the Wong Kong Har Tong. Next to the Wong Association Building was the former Lee Association Building, built in 1907, which was seriously damaged by fire in 1972. It was then sold to another owner who restored the façade of the building and added a new structure on the top. The Chinese Benevolent Association building was officially opened on 21 October 1910. The association offices occupied the third and fourth floors, and the Chinese Hospital was housed on the ground and second floors. During the 1911 plague, the City of Vancouver ordered the hospital to move out of Chinatown. The hospital was later merged with Mount Saint Joseph Hospital. Other significant association buildings on the same block are the Chinese Freemasons, Soo Yuen Tong and Chin Wing Chun Society. 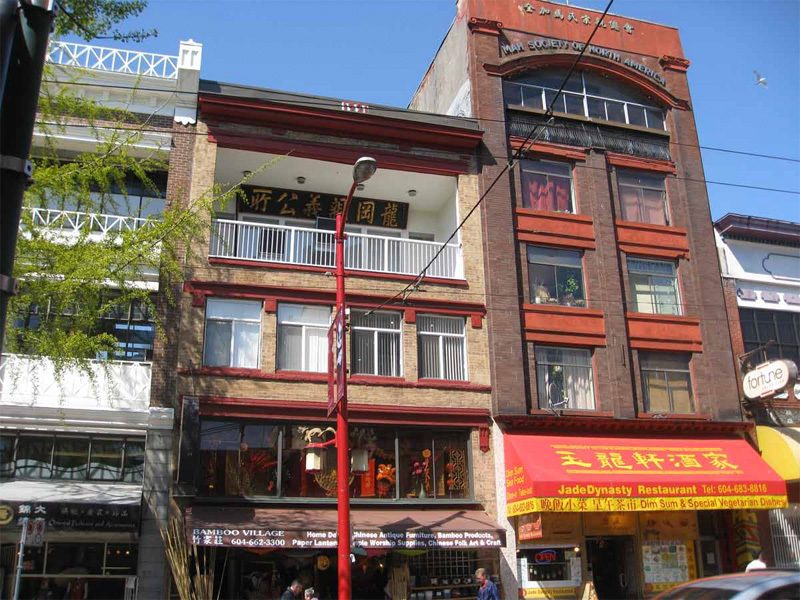 The three significant buildings on this block are the old tenement building, which once housed many Chinese seniors, the May Wah Hotel which provides cheap accommodation in Chinatown, and the Kuomingtang Building which was built in 1920 as Headquarters of the KMT in Western Canada. Gore Street separates Vancouver Chinatown from the Strathcona District where more than half the population is Chinese. The district has a Chinese school, a Chinese Public Library, a Drop-in Centre for seniors, and several Chinese temples and churches. Founded in 1993, Ching Chung Koon (Evergreen Taoist Church of Canada) celebrates Taoist festivals throughout the year on the third floor. The second floor houses a memorial hall containing many ancestral plaques. The temple also honours Confucian moral principles. This is a shopping mall with a 950-space parkade to attract car-driving shoppers to Chinatown. It was opened in the fall of 1995. The one thousand-seat Floata Seafood Restaurant is one of the Plaza’s major attractions. The monument was erected in 2003 to commemorate the contributions of Chinese Canadians to Vancouver, to British Columbia and Canada. The pillar resembles the Chinese character “zhong” (centre), symbolizing Chinese Culture. Two bronze statutes of a Chinese railway worker and a Chinese World War II veteran flank the base of the pillar. The CCC Museum and Archives, opened in 1998, preserves the history of Chinese Canadians and traditional Chinese arts. It offers an archival library and a gallery for art exhibition on the third floor. It also houses the Chinese Military Museum. 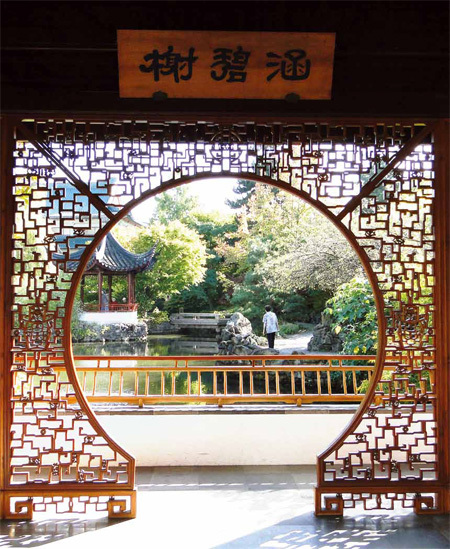 Behind the CCC, Dr. Sun Yat-Sen Park is free to the public while the formal Classical Chinese Garden charges an admission fee and offers tours and educational programs. Throughout the year the Garden hosts cultural celebrations of music and visual arts and offers a venue for wedding parties. Completed in 1986, the Garden embodies many features of classic Suzhou gardens such as ornamental structures, rockeries, ponds, ornamented doorways, latticed windows, and plants. Garden structures are connected with walkways or bridges, while corridors and galleries are used to separate the garden into different rooms. Rocks and water are used to express the pulse and rhythm of nature in harmony. 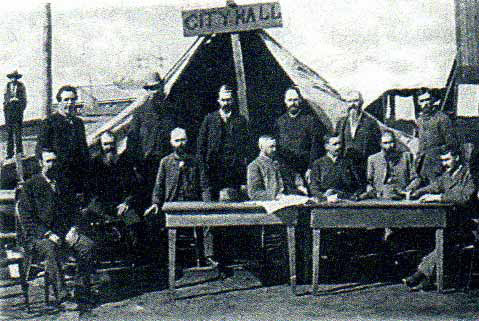 Vancouver was incorporated as a City on April 6, 1886.